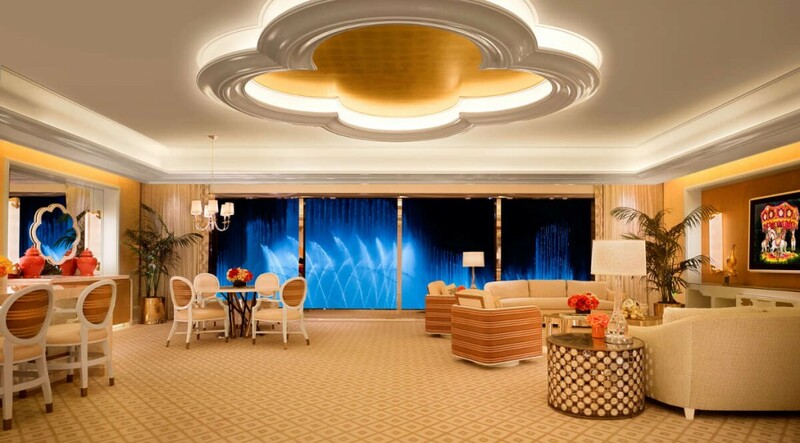 One of my favorite parts of any Wynn project is creating the suites and private villas for the resort’s most special guests. 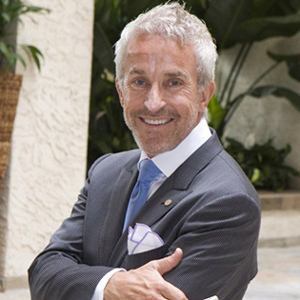 We lavish attention on every part of the hotel, but with these offerings I get extra latitude to orchestrate my two favorite motifs: Memorable luxury and sumptuous comfort. 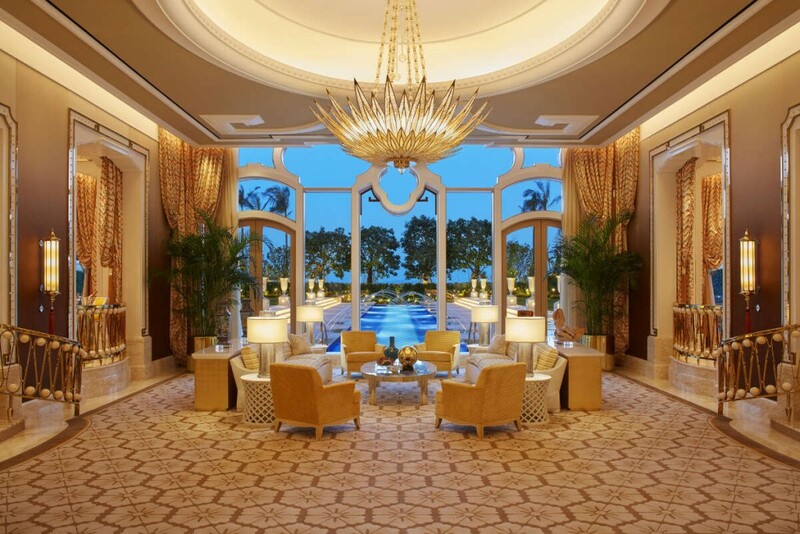 Please enjoy these first views from the Wynn Palace Cotai, which opened Monday in Macau. I create layers upon layers of texture and color in my spaces. 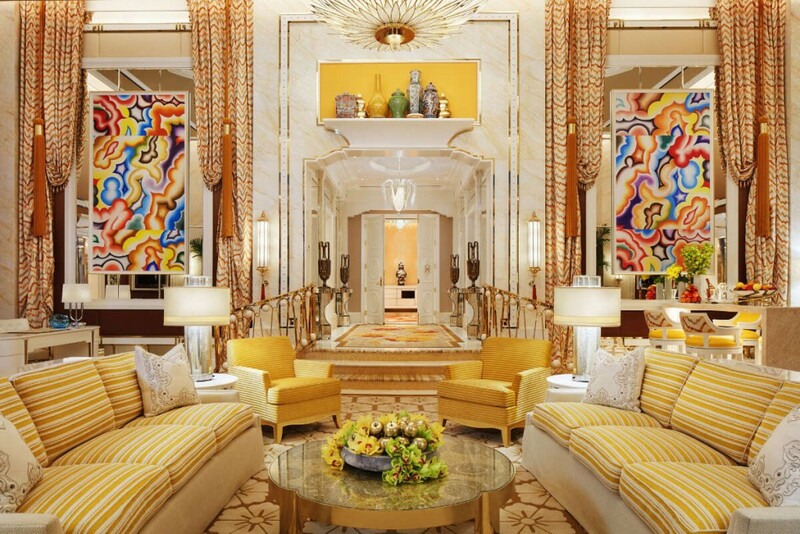 The Penthouse living room at Wynn Palace is a fine example. 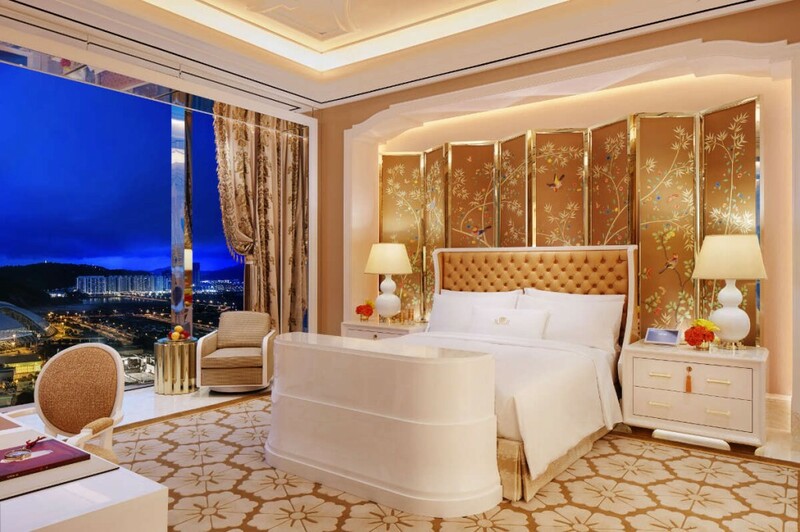 The Penthouse features incredible views over glittering Cotai, with 362 square meters (3,900 square feet) of luxurious space. The Penthouse’s king-sized bed, complete with 800-thread count Italian linen made by Frette, will be ready for the perfect night’s rest. 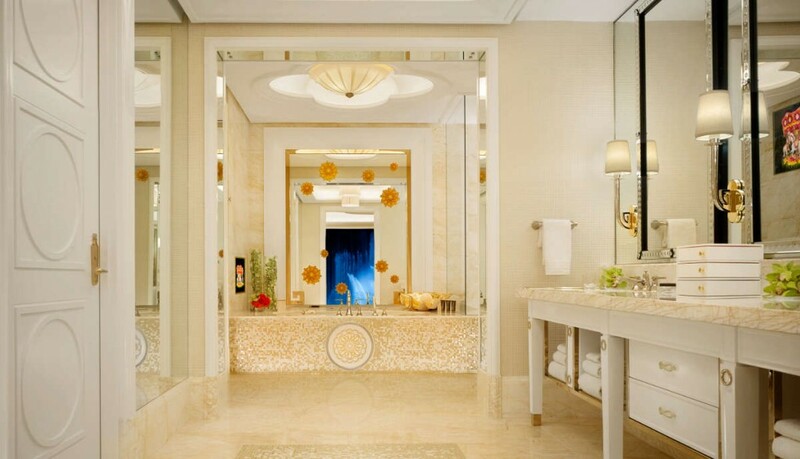 The Chinese-inspired cloud pattern on the floor in this bathroom is created by hundreds of custom-designed Venetian mosaics. 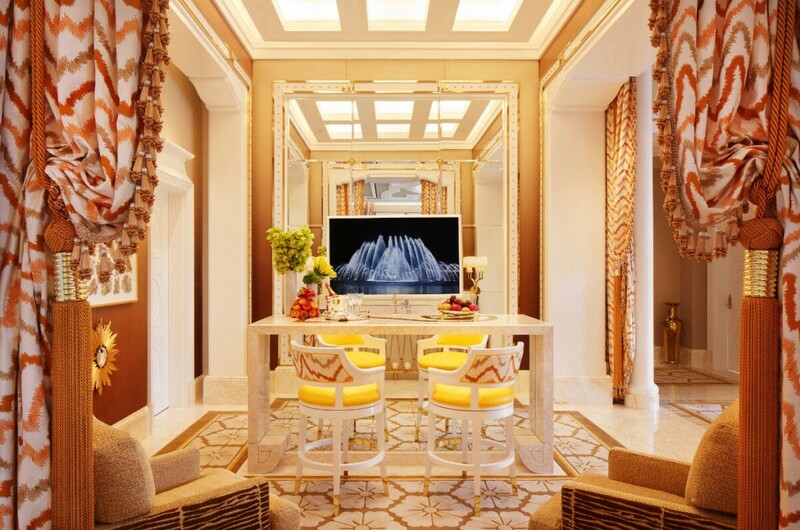 The 743 square meter (8,000 square feet) three-bedroom Garden Villa is simply the ultimate in luxury, a personal pied-à-terre. 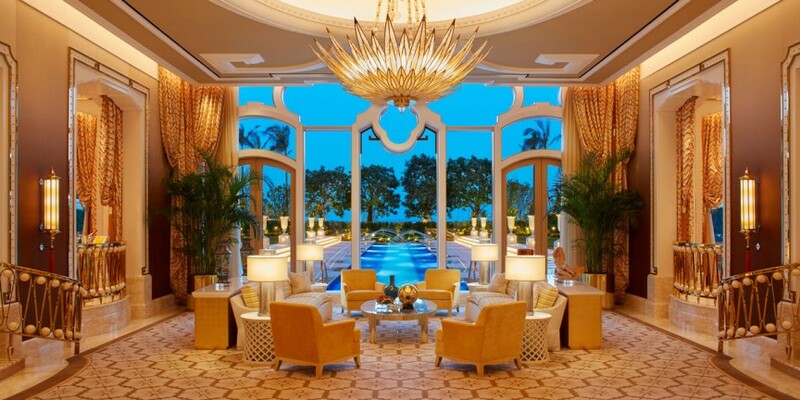 In the Garden Villa’s bar, this beautiful Carrara Marble bar table would not be complete without the tiger-eye inlays. 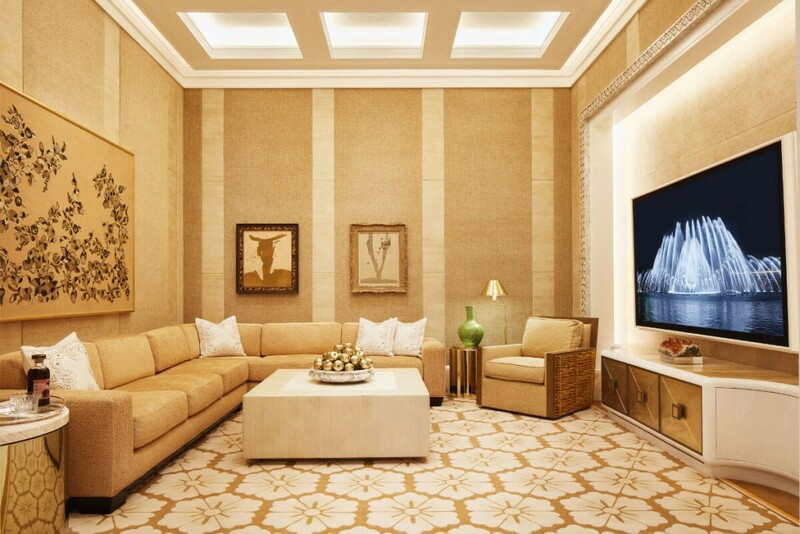 For those who love to entertain, the Garden Villa’s fully equipped media room is ready with all the latest technologies. 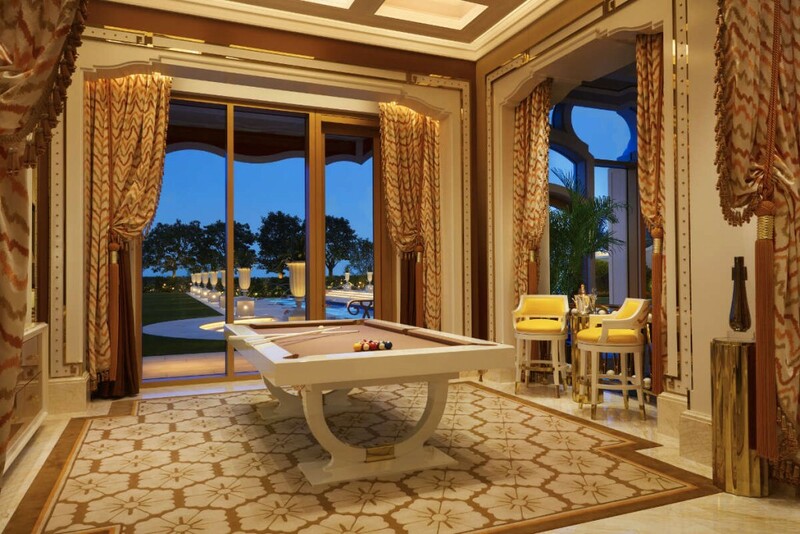 This beautiful custom-designed billiard table is one of the many ways to pass a leisurely stay in the Garden Villa. 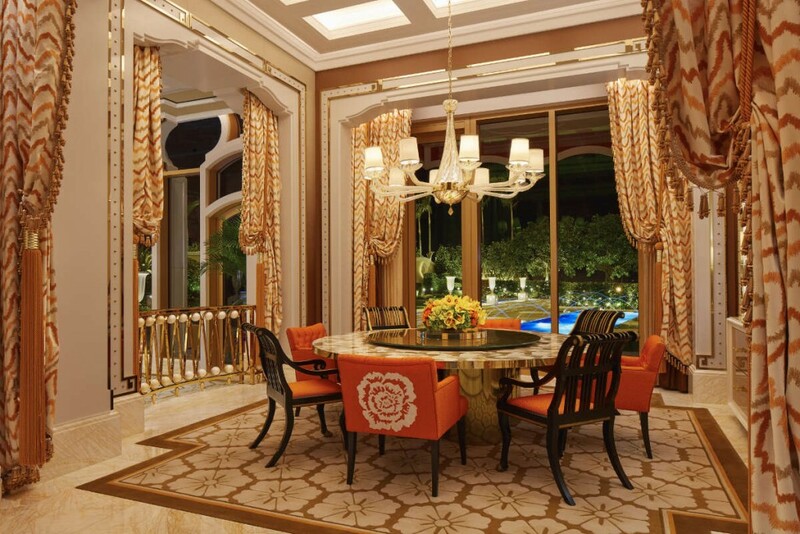 A sumptuous dining area with views to the Versailles-like gardens is available at the Garden Villa. 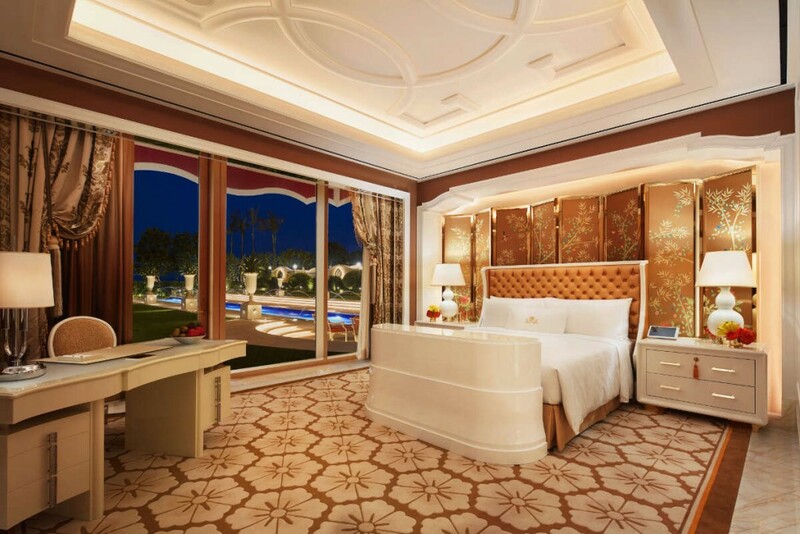 After a busy day Garden Villa guests will be able to unwind in one of three lavish bedrooms complete with everything they might need. 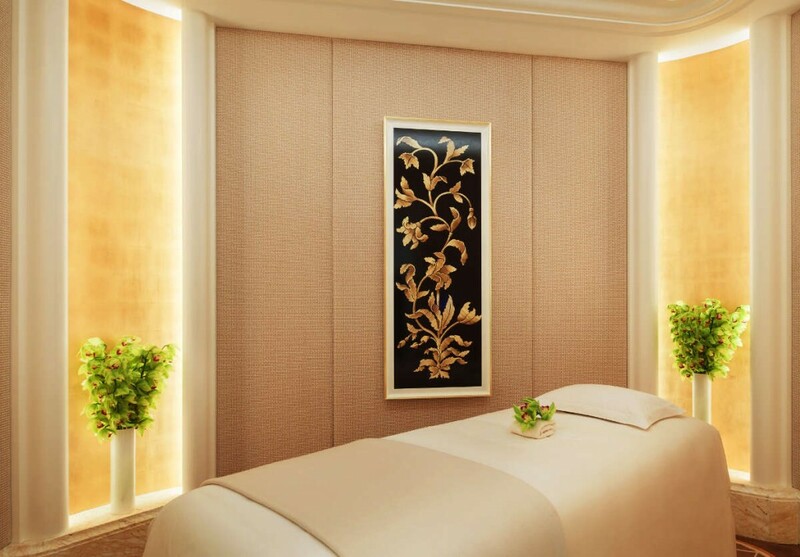 The Garden Villa’s Spa room is always ready for an in-room treatment. 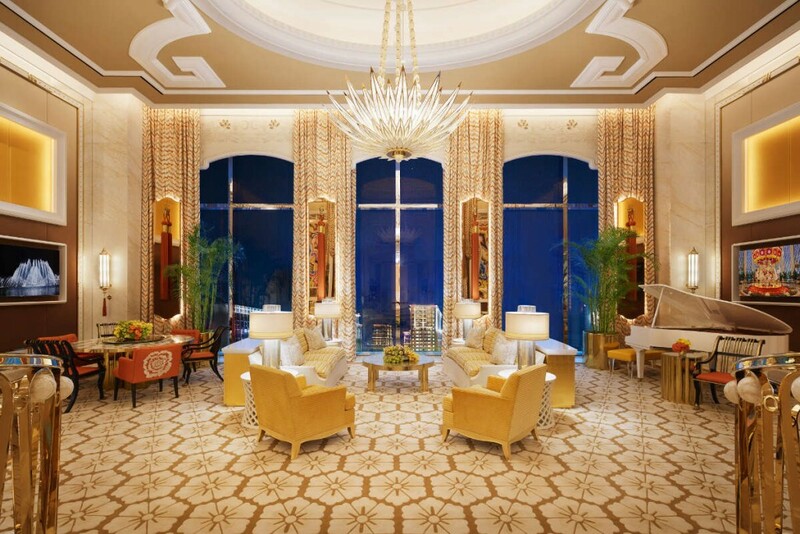 The Fountain Salon offers a spacious 269 square meters (2,900 square feet) of luxury living, with floor-to-ceiling windows offering views of the uniquely designed Performance Lake. 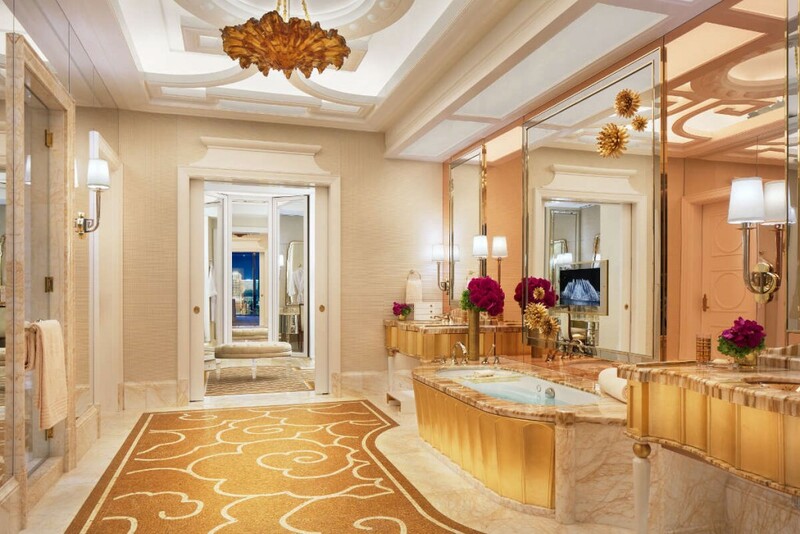 This bathroom is adorned with an array of elegant Venetian mosaic and beautiful Carrara Marble.